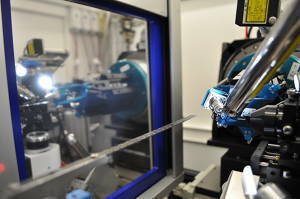 The Swiss Light Source features three protein crystallography beamlines which are all equipped with a PILATUS Detector and with a CATS sample changer. is a high end undulator beamline featuring two end stations: a high resolution diffractometer (beam size: 85 x 10 microns) and a microdiffractometer (beam size: 15-25 x 5 microns). The high resolution diffractometer features a PILATUS 6M detector. Find more info here. 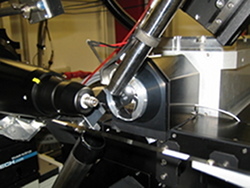 is an undulator beamline equipped with a PILATUS 6M detector (beam size: 50 x 10 microns). It features different apertures shaping the beam and thus enabling a beam profile as small as 10×10 microns. X10SA was jointly funded by the Max Planck Society, Novartis and Hoffmann -La Roche. Find more info here. 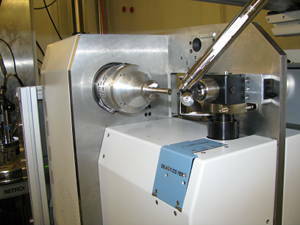 is a superbend beamline equipped with a PILATUS 2M detector (beam size: 80 x 45 microns) and a PRIGO kappa goniameter head. PXIII is linked to the automated crystallization facility right next to the beamline and features routine plate in-situ screening. Find more info here.